Montreal Canadiens: Stumbling Finish A Good Omen? 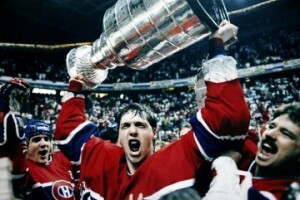 Patrick Roy was a rookie goaltender with a killer instinct when he won the Stanley Cup for the Canadiens in 1986. A lot of Habs Nation has been on edge of late. And rightly so. Coming in to tonight’s season ending tilt against the upstart Toronto Maple Leafs, the Canadiens are 4-6-0 in their last ten games. Now this isn’t completely atrocious, but it’s certainly not worthy of a playoff-bound team and definitely not up to par for a team that still has a chance to finish second in the Eastern Conference. Nevertheless, what is truly of concern is how the team is losing and how their most important player, goaltender Carey Price, has been playing in this span. If Price can carry the Habs on his back like Patrick Roy did in ’86, who knows what they can accomplish this spring. Since clinching a playoff spot on April 11 with a 5-1 win against the Buffalo Sabres, the Canadiens have played seven games allowing 30 goals in the process. At one point, Carey Price was pulled two games in a row. And even when he was given a night off his usually steady backup Peter Budaj was also yanked. Both goalies didn’t look to be playing with a lot of confidence. But it’s not like the finger should be pointed solely at the two playing between the pipes. The entire team has had a baisse de régime (drop in performance) looking tired, slow and sluggish. The powerplay has been anemic, the penalty kill not much better. The defense corps has made a lot of mistakes. The top lines have under performed and head coach Michel Therrien has juggled his lineup to find the winning combinations. And let me tell you — falling behind early in games is not the way to win in the National Hockey League — as what’s been the case with the Canadiens in April. It’s been a rough month for the Canadiens. Thankfully, mercifully, it’s almost over. In the least, the team eked out a big road win against the golf course bound Winnipeg Jets to secure home ice advantage in the opening round of the playoffs. Carey Price played a strong game where he made some big saves and displayed a lot of aggressiveness in net. And they got production from the Desharnais line which has been pretty silent of late. In the end, the Canadiens have had a strong year especially given their last place finish the year before, and this stumble to the finish shouldn’t take away anything from what the team has accomplished. Moreover, history actually shows that Montreal has done this before, only to then go very deep in the playoffs. 1986: The Canadiens finish 3-6-1 and rookie goaltender Patrick Roy, who underwhelmed during this span, is given the reins by also rookie coach Jean Perron and carries the team all the way to beat the Calgary Flames in the finals. 1993: Jacques Demers’ team, in his first season as head coach, ends with a 4-7-0 record, struggles then perseveres against the Quebec Nordiques in the opening round then goes all the way to win the cup. Sound familiar? Look. What would you rather have happen? The Canadiens peak too early and finish the season on a high, only to then dip and exit early in the playoffs? Or the above?